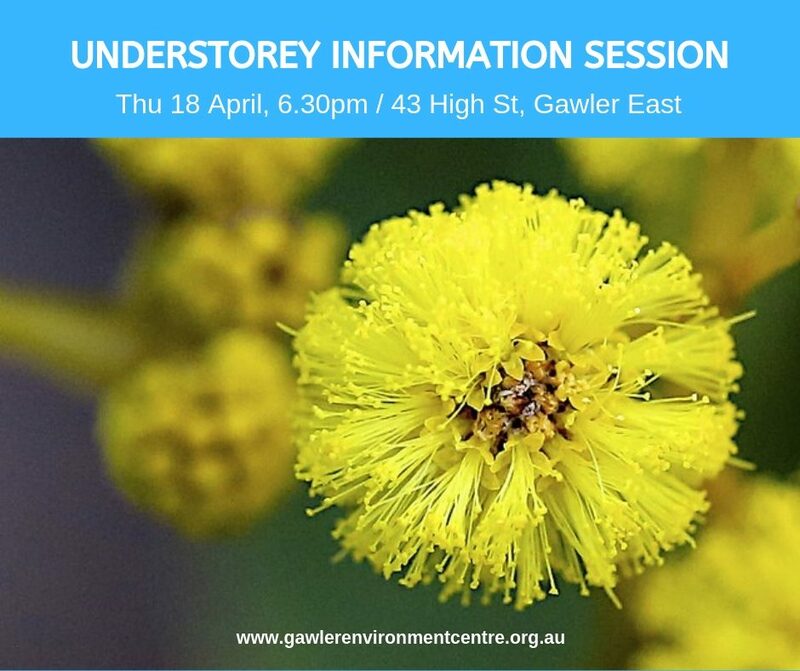 Understorey is presented annually by Gawler Environment Centre and Gawler Environment and Heritage Association (GEHA) and aims to increase biodiversity in Gawler and surrounding regions. At this information session GEHA’s Adrian Shackley will tell us about the plants available for purchase, answer questions about what you could grow in your garden, and explain the importance of understorey in the environment. Local entomologist Gil Hollamby will help us understand the amazing life cycles of butterflies and how that affects our gardening. Attendance is free but please register at Eventbrite here. Online orders will open by the end of April, please keep an eye on our website for further details.